Discussion in 'Muppet Merchandise' started by Phillip, Aug 9, 2010. There's never been a better time to buy a customized Muppet Whatnot puppet from FAO. 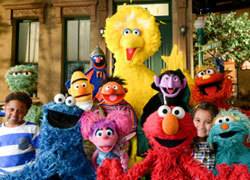 You can now save $30 off the regular $129 price of any customized Muppet Whatnot puppet. (1) Go to this Muppet Whatnot page and customize your Muppet Whatnot. (2) Customize your Muppet Whatnot to your heart's content. Then add your Muppet Whatnot to the FAO cart by selecting "Add to Bag". Currently all selectable features are in stock, but you may want to act fast in case some options become unavailable (as has been the case in the past). If you have any difficultly placing an order, post here and we'll try to help. Be sure to show off your customized Muppet Whatnots! We want to see all the great designs you come up with for your puppet. If you order a Muppet Whatnot through this link or any of the Whatnot banners on MC, a small portion of your order will go to Muppet Central to help keep the site, forum and radio running smoothly. It's a great way to help MC and get a great price on your very own Muppet Whatnot. We appreciate each person that helps support MC by placing orders through the site. Does this only apply online, or would it be the same if I went to the actual NYC FAO store? Thanks. Thanks for the heads up on the sale! Is this a limited-time only price reduction? FAO says, "Unfortunately, we have no current plans to accept international orders." Hopefully this will change one day. According to the FAO.com homepage it says the Whatnots are $99 in-store and online. You can help MC through placing an order on-line through the site, but the store does have the $99 price as well. I was told that the price change is a re-pricing. FAO could re-price the item back up to $129 if, for example, they found they were selling the same amount but just making less profit off the margins. If FAO believes that sales are good enough at the $99 price point then the lower price continues. I know the $99 price will be available until the end of August and possibly longer. So you definitely have some time to enjoy the discount. Hopefully it will remain permanent but there are no guarantees on that. I want one so bad, but it'll have to wait until I'm back up to full time. is there any news on when and if the muppet whatnot workshop will be at the disney parks? Well, when we were at Disney World last month, we asked a guy working at the MV*3D gift shop, and he had no idea that they were opening it there. When we went to FAO a few weeks ago, we asked the ladies working at the Whatnot Workshop (one of which interned at Henson) and they knew that it was opening sometime in the future, but they didn't know any specific dates. Great! Thanks for the response. I will probably be ordering one around the end of August. Does anyone know if a WhatNot workshop will be opening at Disneyland? I have a family member that will be moving to only a few hours away from there. I figure it would be awesome to make one "in person." My Whatnot arrived yesterday, on my birthday. It was a gift from my wife! Hi, does anyone know if they are going to ship internationally? 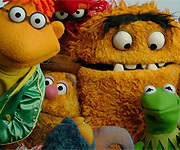 Us UK Muppet fans, are feeling left out! Have to rely on good old Ebay, for cool Muppet dolls etc! Hi Twinx62, I have asked if they ship internationally and the response was "not at this time". I have asked if they ship internationally and the response was "not at this time". You think that's bad? They won't even ship to Canada. I only live about 100km (that's roughly 60 miles for you American folk) from the border. It's frustrating really, because they're really losing out on some solid business opportunities. would they ship a watnot 2 australia? What's the quality of these Whatnots? Is this something that you can use and play with and it will last, or have people experienced that they might not last through the rigors of pupeteering? Even at $100, that's still a significant investment. I own 3 Whatnots. So far, the only complaint I have about them is the removable arm rods sometimes are difficult to put back in. There's a small, lined pocket at the wrist where the hooked end of the rod is inserted. The fabric lining of the pocket seems to either have come loose, or otherwise twisted, making re-insertion of the rod tricky. It may be from frequent attach/detach, but it's wear & tear like this that should be expected. Another side effect of this problem is loss of wrist control, since the rod now tends to spin in the socket. Overall, I am pleased with their construction & would consider buying another one if a 4th body style & color became available. As far as the price tag goes, I'd be curious if any of the puppet builders here would be able to make a whatnot-style puppet (perhaps using the Roly Puppet Pattern from Project Puppet), including outfit, for much less.